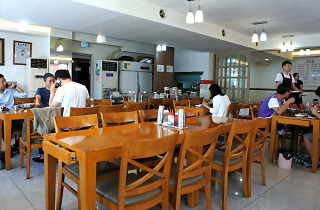 Matjarang uses buckwehat instead of flour to make its own noodles for kong-guksu (cold soybean noodle soup). 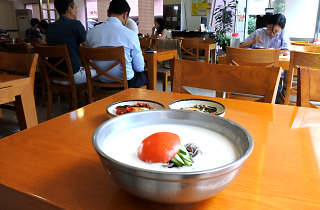 Given that buckwheat often goes well for cold broths, the combination is quite smart, but unfortunately, the texture was a bit too chewy with a rather chalky surface making each bite quite unpleasant. 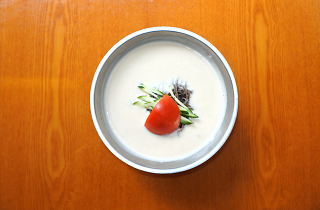 The soup, however, is just nutty enough and deliciously thick. It's already savory enough when served, but prepared on the table are salt water (for better dilution) and sugar to be added to taste. 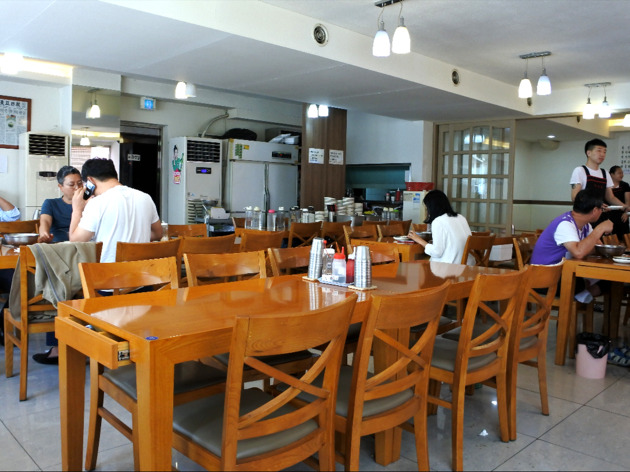 Adding anything sweet to the dish is, in fact, quite rare of a scene among Seoulites, but it's what Matjarang's older-generation patrons do; many of them come from Jeolla-do, arguably the most epicurean province(s) in the country, so those who are curious may do as they do. 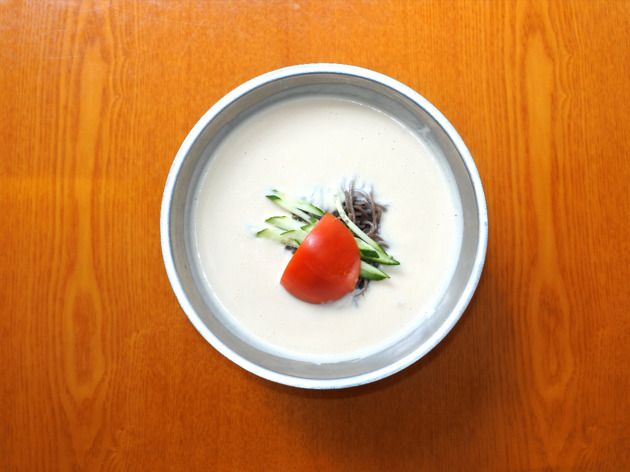 The garnish atop the kong-guksu is a large piece of crunchy tomato, which goes surprisingly well with the mild soup. Would we go back? When in the area, possibly. 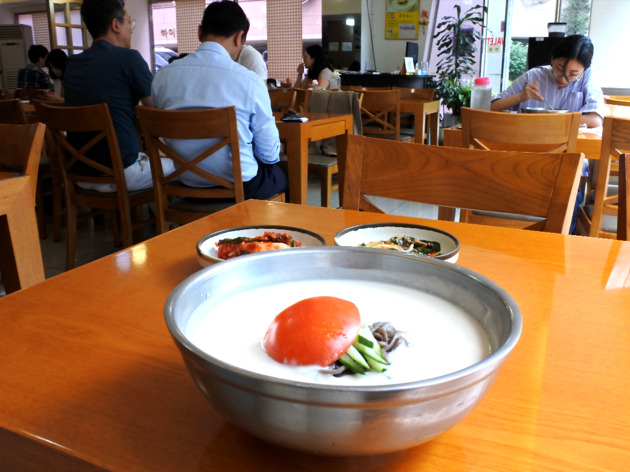 But with the price of 11,000 won for a single bowl, it'll have to be with someone who loves kong-guksu enough (there are many other noodle and meat dishes featured on the menu, though).